The Turkish government is seeking the return of 18 objects from the Metropolitan Museum of Art. The requested objects include several highlights of the Met’s collection that are currently on display in the museum’s Ancient Near East Galleries. Turkey claims all of them were illegally excavated and smuggled out of the country after the passage of a 1906 law that gave the state ownership of its cultural property. Vases of electrum, gilt silver and silver “said to be found together” in Northwest Anatolia by 1974. Made circa 2300 BCE. The requests from Turkey were first reported by Martin Bailey in the Art Newspaper earlier this month. The report said Turkey was requesting the return of two objects from British museums — the British Museum and the Victoria and Albert Museum — and 11 unidentified objects at the Met. Turkey has refused to loan objects to those institutions until questions about the contested objects were addressed. But the scope of Turkey’s demands reach far beyond those three museums, we have learned. Turkey has requested the return of objects from several other American museums. We’ll be posting details on those objects soon. This past fall, The Metropolitan Museum of Art was contacted by officials from the Turkish Ministry of Culture with regard to 18 works of art in our collection. The Ministry requested provenance information, which we are in the process of providing. Because this matter is currently under discussion with the Turkish government, the Museum will have no further comment at this time—except to acknowledge with appreciation that Turkey has long been a valued lender to significant exhibitions at the Metropolitan, and we look forward to the continuation of that relationship. The museum did not explain why it has taken several months to provide Turkey with provenance information that is readily available on the museum’s website. Most of the objects have no documented ownership history other than being in the Schimmel Collection by the mid 1960s or 1970s. 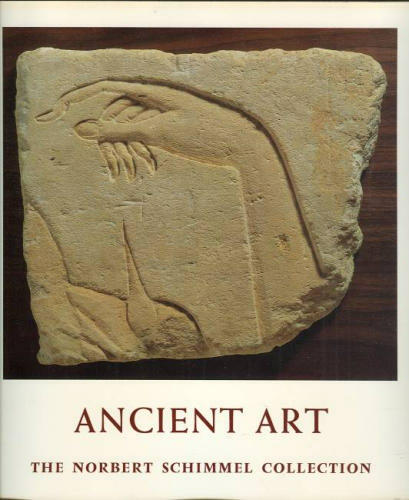 The Schimmel Collection was published in a 1974 volume entitled “Ancient Art:The Norbert Schimmel Collection.” The editor of the volume was Oscar White Muscarella, a former Met curator who has been an outspoken critic of the role museums have played in the illicit antiquities trade. We’ve asked Muscarella for his thoughts on the Turkish claim and will post his response when we have it. In early June, Met director Thomas Campbell made some public comments about claims like those coming from Cambodia and Turkey: “We welcome any additional information about the provenance of these or any other contested objects and I think it’s inevitable that as a result of the mandate I gave our staff a year and a half ago to get all our collections online, we are going to see a number of cases like this coming forward. In the spirit of our new collecting guidelines which we adopted just as I took over from Philippe [de Montebello] in late 2008, we are fully committed to dealing with such claims with transparency.” Perhaps Harold Holzer didn’t get the memo?